Homeowners typically want to make the most of a breathtaking natural view, and view lot house plans are designed specifically for this due to their versatility and special consideration of the terrain. Unlike conventional plans, which are made to fit within standard residential lots that may include other homes in close proximity, these plans are expansive and open in order to provide owners with uninterrupted views of their surroundings. One of the most prominent features tends to be the use of windows, with most homes including numerous windows strategically positioned along the rear of the home. Houses are typically positioned so the back faces the natural setting, meaning that the backside of the home design usually receives the most special attention. 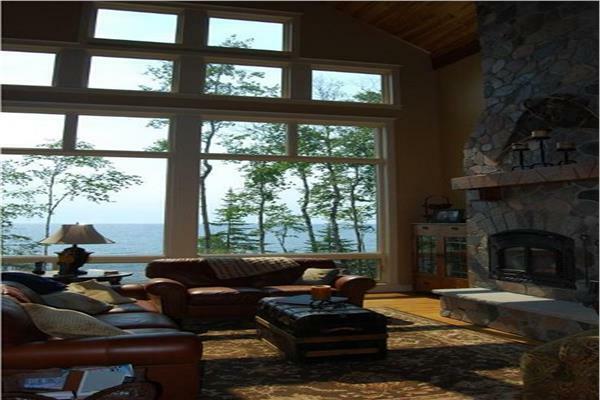 The large amount of windows will provide a panoramic view of the lake, beach, pool, forest, mountain, or river the house is near. It’s also common to find expansive patios, decks, or walkout basements in view house plans. These are seamlessly connected to the windows and openings at the rear of the home to encourage frequent enjoyment of the natural settings. Some of these houses are located in untraditional lots that feature many different, and often unstable, types of terrain. Many of these house designs are created to accommodate these special needs. Owners can find floor plans that include the necessary considerations for building on shifting sands, on steep inclines, or in close proximity to rising water. These plans are typically larger and offer three or more bedrooms on average. There’s ample space for entertaining, relaxing, and enjoying the beautiful backyard space. Browse through our house plans with a view, and find the perfect home to highlight your gorgeous scenery.